Dimpsey Glamping in Chard has struck gold, winning the category of Glamping and Alternative Accommodation at the Bristol, Bath and Somerset Tourism Awards for the second year in a row. After six months of assessments and judging by a panel of experts, the winners were announced by Laura Rawlings from BBC Radio Bristol, who was joined on stage at Somerset County Cricket Club by Marcus Trescothick MBE. 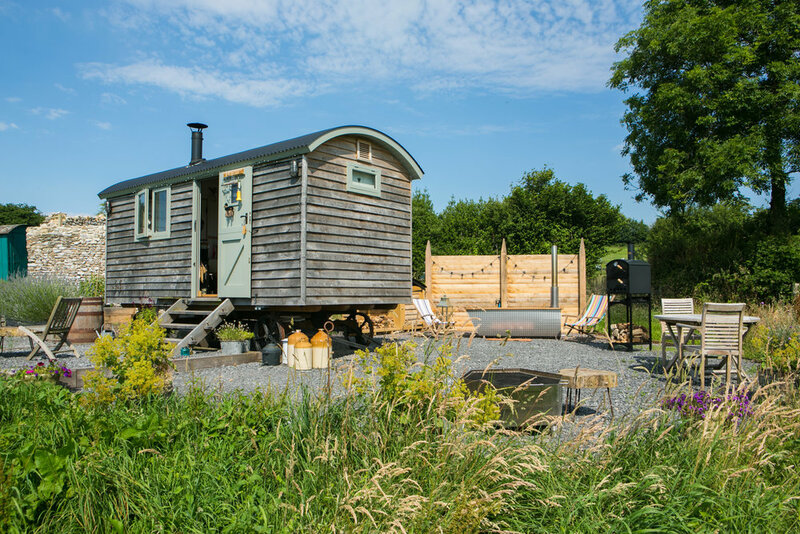 Dimpsey Glamping is a high-end shepherd hut accommodation located on a farm at the foot of the Blackdown Hills. It has been open since 2014 and boasts a hot tub, outdoor kitchen and luxury living space. Created by Blackdown Shepherd Huts, and nurtured by owners Emma and Andrew Warren, Dimpsey has gone from strength to strength as a luxury couple’s retreat, with year-round bookings. Emma said: "To win gold is a real accolade and testament to the hard work we put in to make Dimpsey the very best glamping experience possible. "We are small, but perfectly formed, and are always looking to improve what we do. I have a great team, and we love our guests – their experience and feedback is everything. Organiser Nell Barrington said: “These awards showcase the best that Somerset, Bristol and Bath have to offer visitors; from food and drink to attractions, experiences, accommodation and new for this year, guided tours. Dimpsey will now be fast-tracked into the South West Tourism Excellence Awards in February 2018 and if successful, on to the National Visit England Awards later in the year.